Discovery DISCA is expanding its Golf coverage. The company’s GOLFTV has inked a partnership with the European Tour to broadcast and stream a number of golf events. GOLFTV, the global live and on-demand video streaming service, is set to launch in January 2019. Live coverage of the next two Ryder Cups, set from Whistling Straits, Wisconsin, in 2020 and Marco Simone Golf & Country Club, Italy, in 2022, will also be available to GOLFTV subscribers in selected territories. In October, Discovery entered into a 12-year agreement with PGA Tour worth about $2 billion to manage TV and digital rights for golf events in territories outside the United States. To further boost its golf content offerings, GOLFTV announced an exclusive multi-year partnership with Tiger Woods in late November. The “80-time PGA Tour winner and 14-time Major champion” will collaborate with the platform for programming unique content, a first of its kind collaboration for Woods. Apart from GOLFTV, Discovery’s European sports network, EuroSport has won European multiplatform broadcast and distribution rights for four Olympic Games between 2018 and 2024. Additionally, the platform has rights to prominent pro leagues in soccer and tennis, among others. 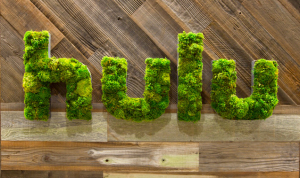 Apart from PGA & European Tour, partnerships with the likes of AT&T T , Hulu, Sling TV and Bilibili BILI are helping Discovery rapidly penetrate the online viewing market. The company recently entered into a joint venture with The Enthusiast Network (TEN) for automotive media, which marks Discovery’s entry into the direct-to-consumer offerings space. 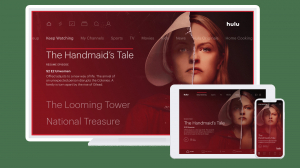 Despite the dominance of video streaming companies like Netflix NFLX, Discovery continues to hold its ground and attract users through its content offerings. 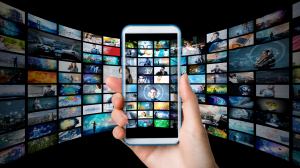 This is supported by the fact that the company currently has the “second largest share of TV viewing” after Comcast CMCSA owned NBC Universal. Additionally, the Scripps buyout not only expanded Discovery’s product portfolio but also its international footprint, especially in regions like Europe, Latin America and the Nordics. Currently, Discovery has a Zacks Rank #3 (Hold). You can see the complete list of today’s Zacks #1 Rank (Strong Buy) stocks here.